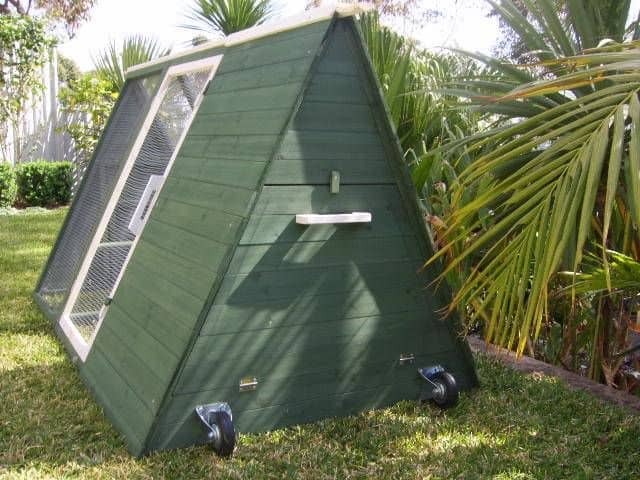 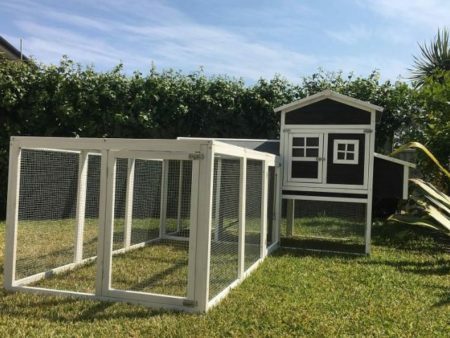 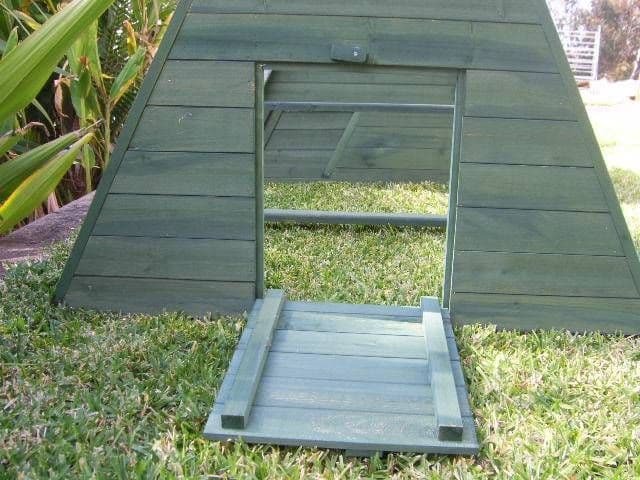 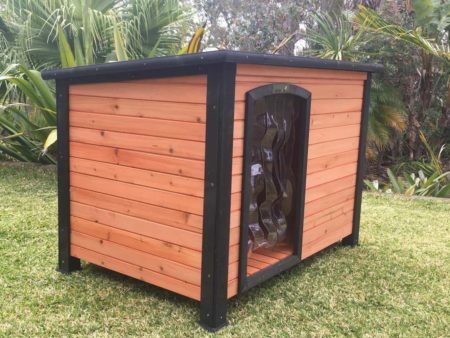 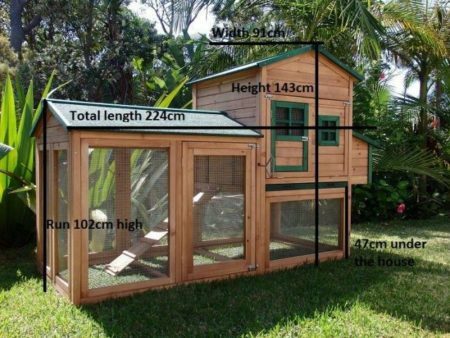 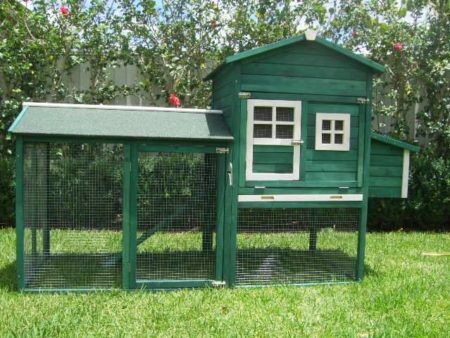 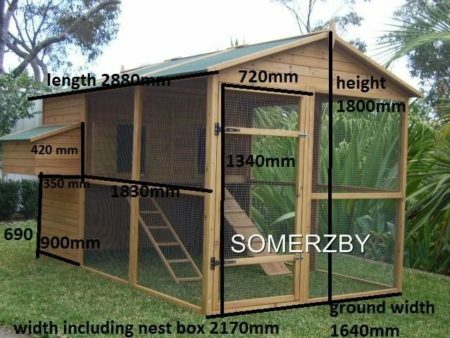 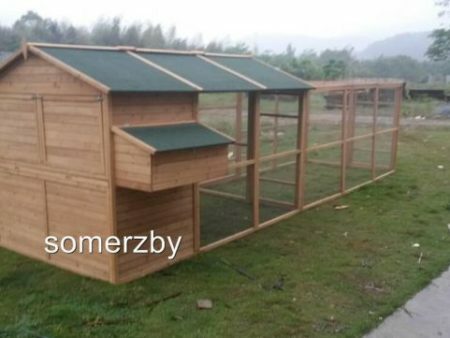 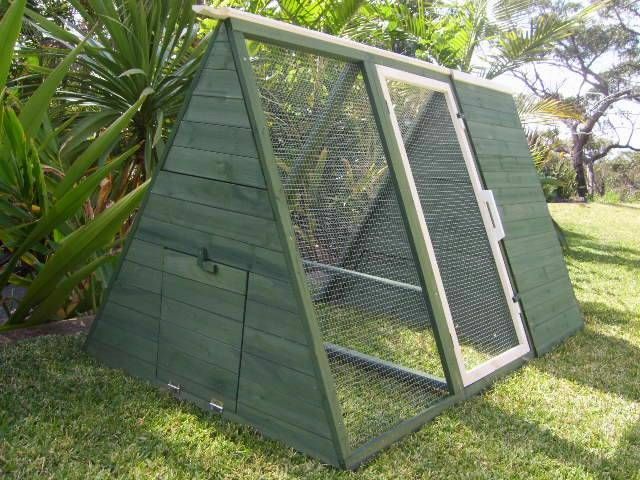 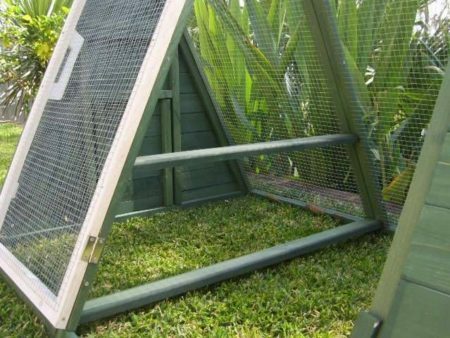 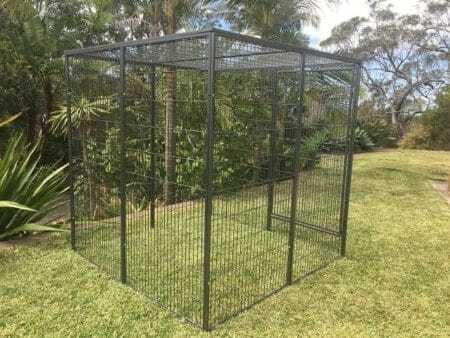 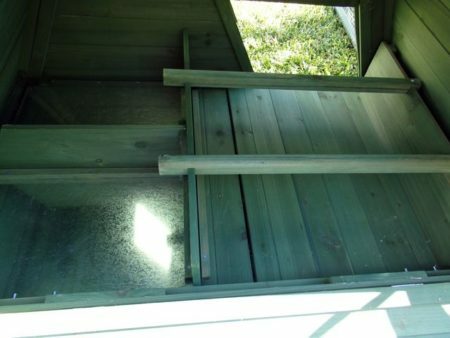 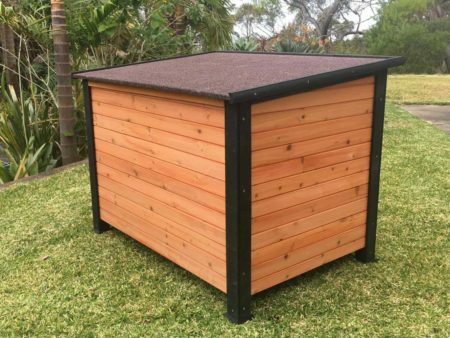 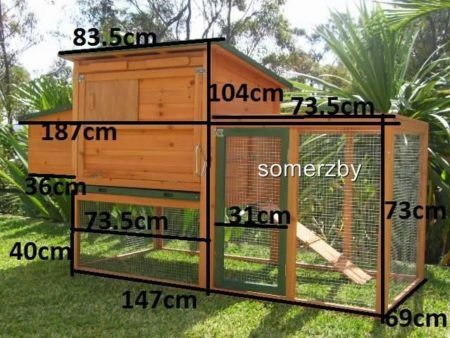 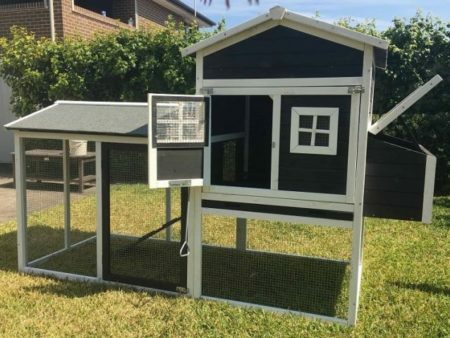 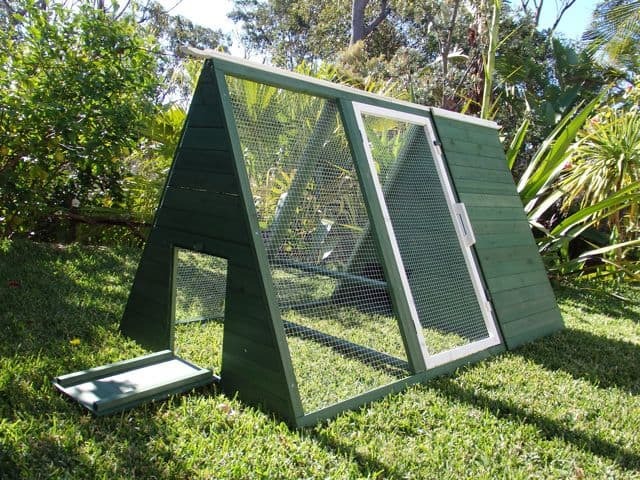 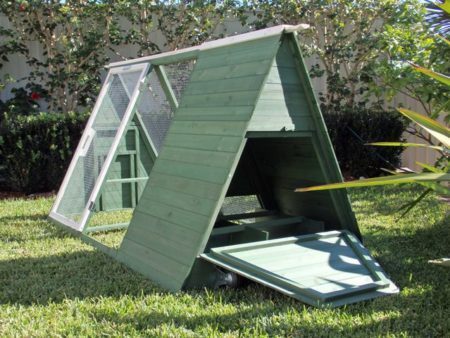 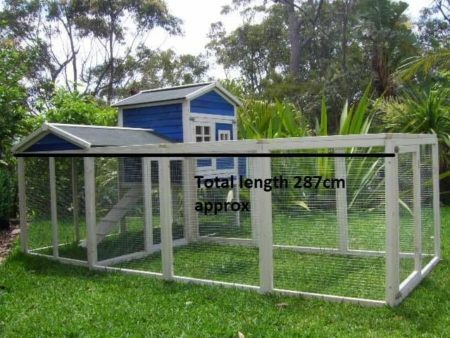 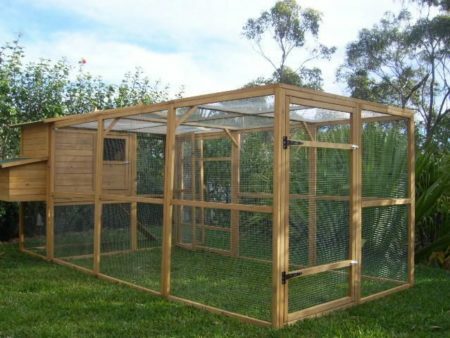 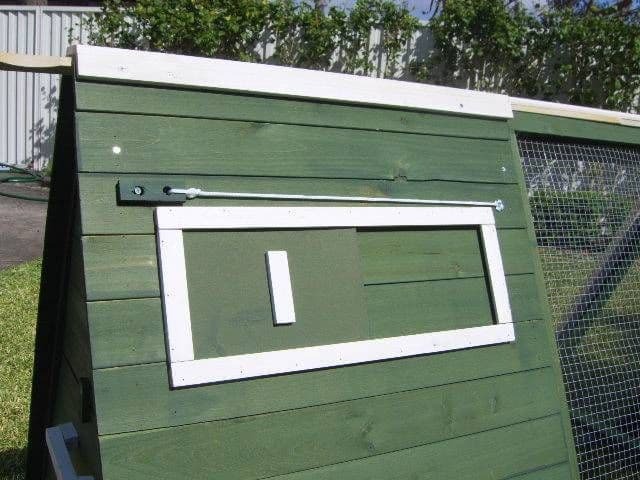 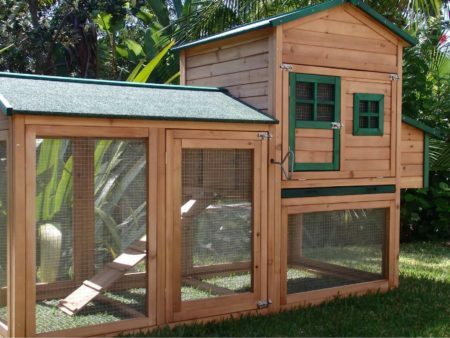 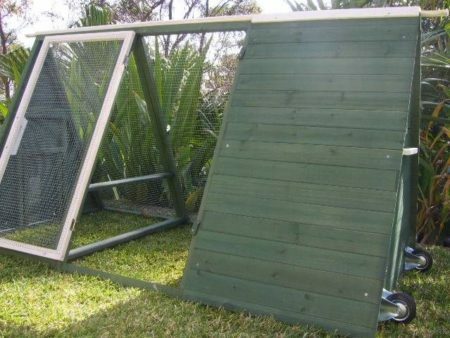 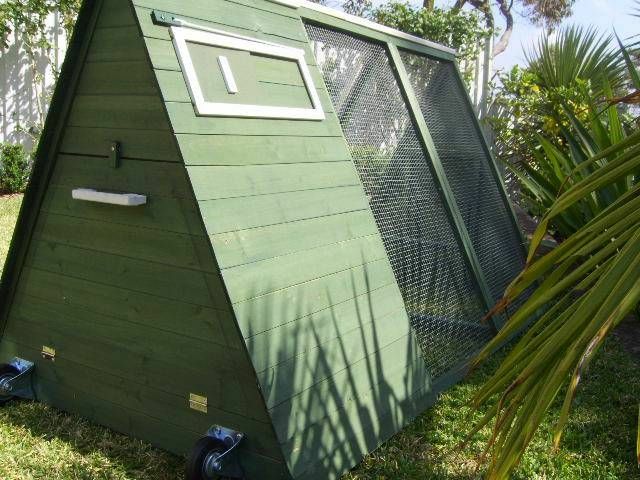 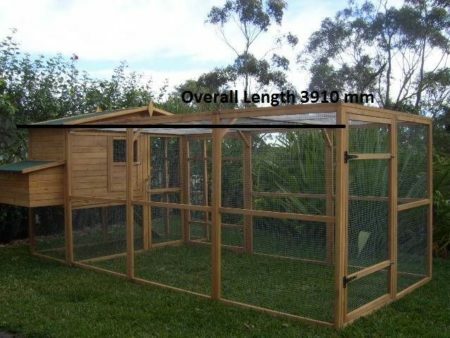 The Somerzby Chicken Tractor features a sheltered nesting box, and opens from both ends and at the side for ease of cleaning. 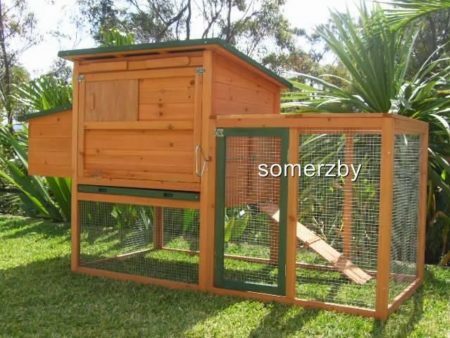 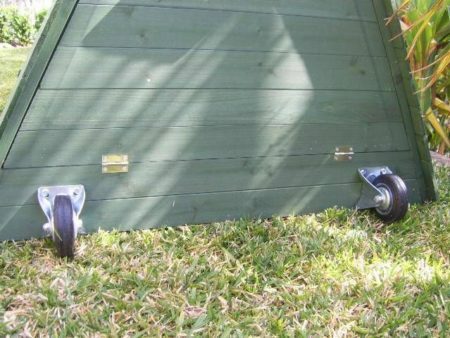 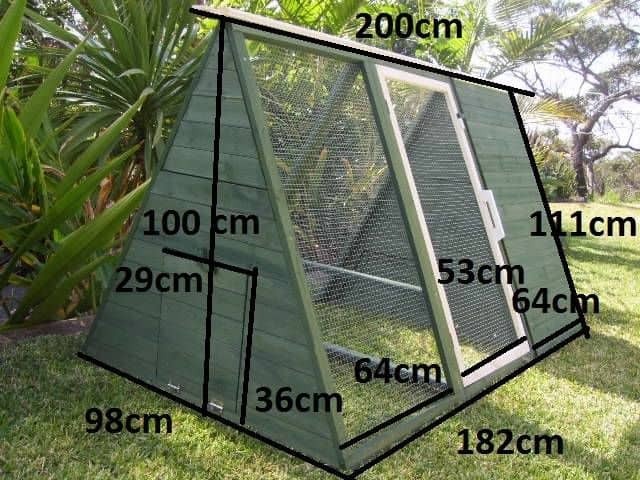 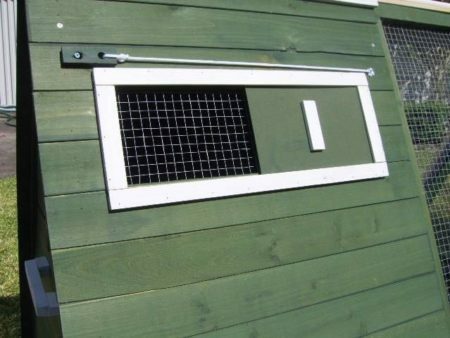 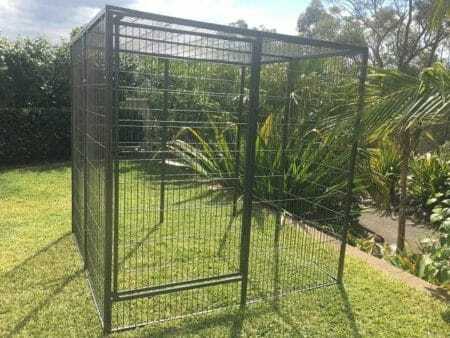 The Somerzby Chicken Tractor features a sheltered nesting box and opens from both ends and at the side for ease of cleaning. 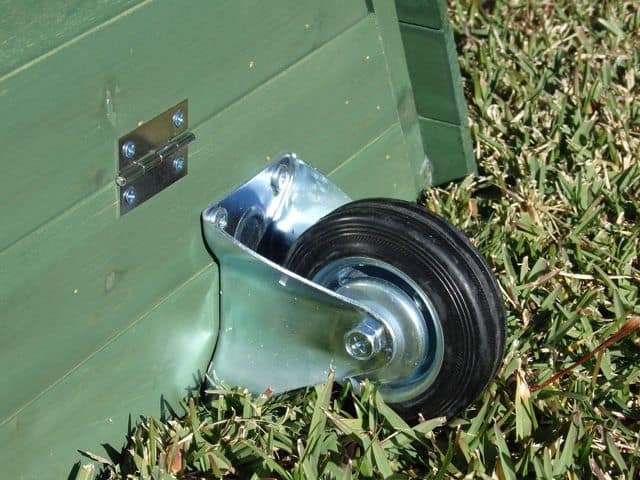 You can also open and shut the door to the nest area from outside the tractor.